When you use the Set Lists to record your LEGO Collection, you are letting Rebrickable figure out the parts you own based on each Set's inventory. However, it's annoyingly common to lose some parts from sets. 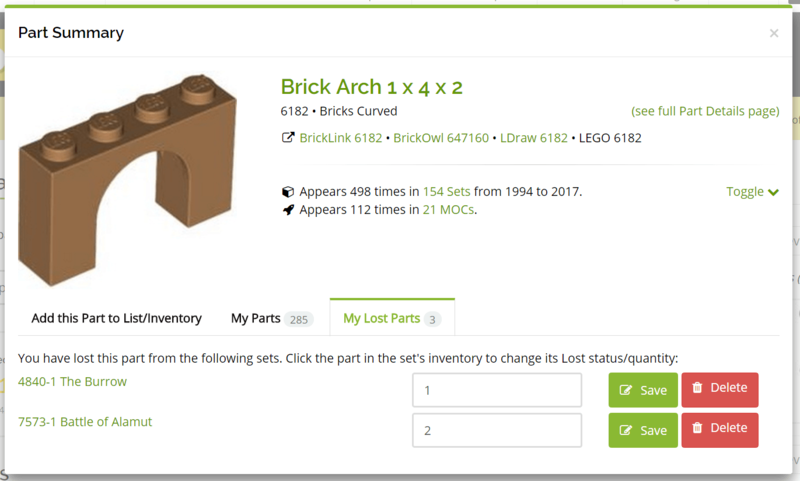 The MY LEGO > My Lost Parts page can be used to tell Rebrickable which parts you have lost from the sets in your Set Lists. This allows your collection and the Build calculations to be more accurate. Navigate to the Set's inventory that you have lost parts from. Click the part to see the Part Summary popup. Click the My Lost Parts tab and enter how many you have lost. Click the Add Lost Part button to save and have it show up on your My Lost Parts page. To edit or remove the Lost Part, you can click the same part and edit it in the Part Summary popup again. Alternatively, you can edit/remove the Lost Parts directly from your My Lost Parts page. There is a Buy Parts tab on the My Lost Parts page. 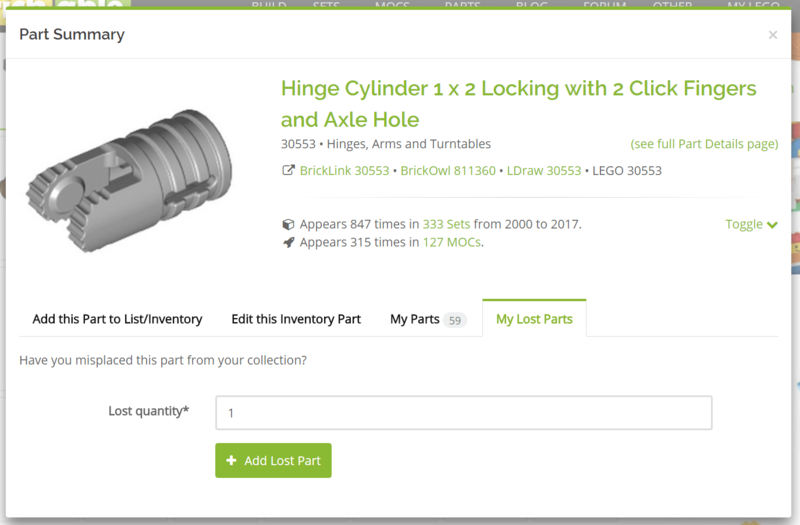 This allows you to easily find and purchase your lost parts and complete your collection.